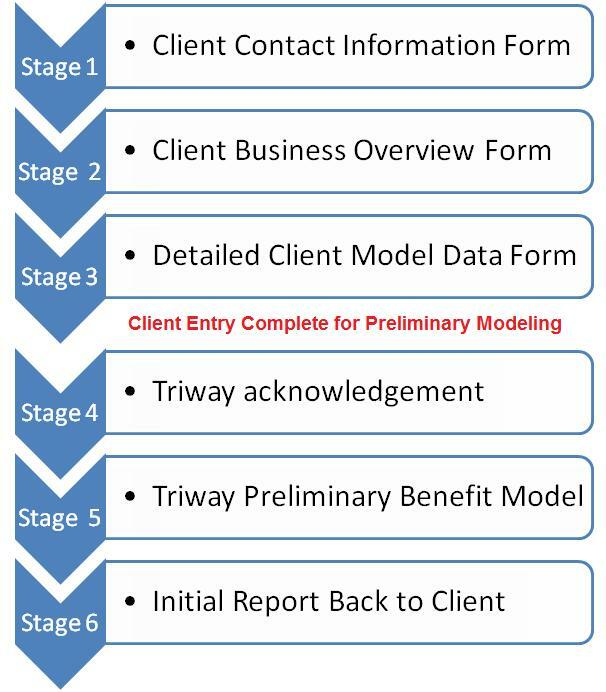 This Benefits Estimation tool allows both Triway and the client to understand if there is a REAL benefits case even prior to meeting with the Triways representative team. If used correctly it will give a clear indication of a clients potential "Ball Park" estimates regarding cost or efficency opportunities. It does not replace the need to undertake a full network analysis in detail or replace any other service offered by Triway. This is because Triway are using limited data so in order to provide this initial pre-project analysis Triway have to make a series of operational assumptions based on industry best practice. If you would like to try out the TRIWAY Benefits Estimation Tool then please click on the link in the top menu of this page and follow the instructions provided. Thank you for using Triway Solutions, we look forward to saving you money, optimising your business and providing assistance when required to move your business forward.